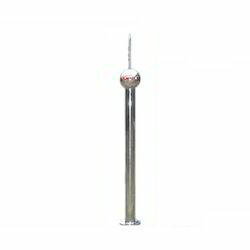 Prominent & Leading Manufacturer from New Delhi, we offer lightning arrester conductor, copper earthing electrode and earthing materials. gmax electric is a company that always remain focused to adopt modern technologies. In this Endeavour we have introduced a highly advanced product for our customers which is based on advanced technology which provides excellent resistance against oxidation and has better product life than copper Electrodes. Copper’s uniformed plating thickness ensures stable performance & a cost effective option for customers. 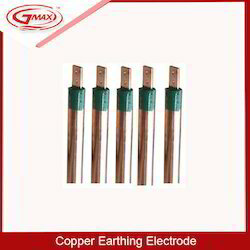 Outer surface plating is done with 99.99% pure copper and crystalline mixture is filled within the electrode. Flat-in-pipe technology is adopted to make copper bonded electrodes . High grade crystalline mixture, ensures best conductivity for leakage current. It also offers low impedance grounding that is necessary for personnel as well as equipment safety. 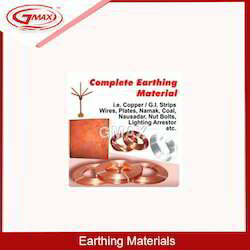 GMAX make chemical earthing electrode, earthing electrode, gel earthing electrode,, electrical earthing, chemical earthing, maintenance free earthing electrode, copper plate earthing, GI earthing, Mobile earthing solution, chemical earthing system ,marbengyp-50 earthing gel, marbengyp-50 earthing backfill compound,marbengyp-50 grounding backfill compound, backfill compound, earthing chemical, earthing material, ESE Lightining Arrester, Mobi earth solution for defence, Advanced earthing systems, earthing electrodes, EHCC effective earthing electrode, EHCC chemical earthing, RDSO Approved earthing system,CPRI Tested earthing electrode, copper bonded earthing electrode, copper coated earthing electrode, Alloy coated earthing electrode Indias first mobile earthing solutioins for defence equipment , RADDAR, mobile exchange, mobile substation, mobile generator etc,earthing electrode manufacturers,exporeters,chemical earthing delhi, India,we have devised mobile earthing suitable for field applications such as outdoor broadcasting vans,radio signaling stations, survey camps etc . Looking for Lighting Arrestors ?